The UAE-based mobile network operator is to follow the July launch of commercial NFC services in Tanzania with launches in four more countries by the end of this year, Etisalat has told NFC World. Etisalat is to roll out its Touch and Go NFC contactless payment service to four more countries by the end of 2011. Etisalat subsidiary Zantel launched the first Touch and Go service in Tanzania in July. The service builds on Zantel’s existing mobile financial service zPesa. Essa Al Haddad, Etisalat’s Abu Dhabi based chief marketing officer, told NFC World that the company believes that Touch and Go is just the beginning of the NFC storm in Africa, following on from the initial success the company has had in Tanzania. Consequently, and as part of the Etisalat’s commitment to transform the communication industry in the countries in which it operates, Al Haddad stated that the business is putting all its efforts into expanding the NFC service into a full scale commercial operation in four more countries before the end of this year, taking the total up to five. However, the company is not yet ready to reveal which countries will get the service next. Etisalat entered Tanzania in 1999 to provide a total communication service, with an offering that includes fixed, mobile and data, with Zantel. Al Haddad stated: “In less than one year after launch, Zantel had managed to build its own international gateway and was the first to reduce rates on international calls, by 60%. 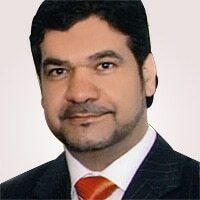 While Africa has so far not so been considered to be a strong market for NFC due to the cost of the handsets and related devices, Touch and Go is a unique proposition that Al Haddad reckons will take off. He said: “Etisalat’s NFC proposition offers a convenient, secure, easy to use and versatile service that anyone can access. We see a unique proposition for the service in the simplicity of its customer facing transactions. Already, customers can use Touch and Go with merchants to purchase goods, services or even mobile credit top-ups, without needing to type any numbers into pads or go through complicated commands. Etisalat believes that, in addition to the ‘wow’ effect associated with Touch and Go, the new service addresses consumer literacy issues, which can represent a major hurdle to the take-up of new services, especially in the rural communities in Africa. The system’s easy-to-use interface will enable everyone to enjoy convenient payment services and participate in entrepreneurial activities within their own communities, says Al Haddad, leading to improved financial inclusion, especially in the unbanked and under-banked market segments.